Carsten Stabenow (Co-curator) works as independent curator, producer, communication designer and artist on the intersection of artistic production and mediation. He studied communications and postgraduate interdisciplinary studies in Berlin and is initiator of diverse festivals, formats and initiatives within the context of new media, art + science and sound art. 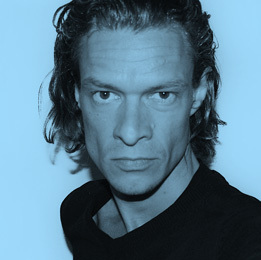 Carsten Stabenow is the founder of the German media art festival garage, initiator and artistic director of Tuned City and co-founder of the Berlin art and media production platform dock. As a member of the staalplaat soundsystem (2001-2010) and solo, he has realised several installations and performed internationally. In his work he is interested especially in physical, social and political parameters of space.